Whether you are buying, selling, or investing in Real Estate, Bruce Brunk and the Citrus County Dream Team welcome you to consider how we will help you experience a successful, enjoyable, and profitable real estate transaction. Having successfully completed over 500 transactions with more than $55 million in sales in Citrus County since 2005, our team is one of the top real estate teams in Citrus County. We are also proud to be a part of Keller Williams Realty, the #1 real estate franchise in the US and North America. Whether your real estate interests encompass our gulf waterfront communities in Homosassa and Crystal River, or in one of our large planned communities like Sugarmill Woods, Pine Ridge, Terra Vista, Citrus Hills, or Citrus Springs, or perhaps you prefer our lakeside communities in Hernando, Inverness, and Floral City – anywhere in Citrus County we’ve got you covered. You can experience our unmatched service with honesty, integrity, and expertise. Not only do we hold ourselves to high standards personally and in business but we utilize the latest technologies, market research and business strategies to meet your expectations. However, more importantly, we listen and that means we find solutions that are tailored to your needs. We look forward to talking with you and helping you in buying, selling, or investing to achieve your dreams! 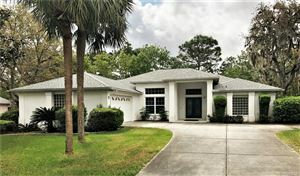 Citrus County listings last updated Apr 24, 2019 10:17:am.